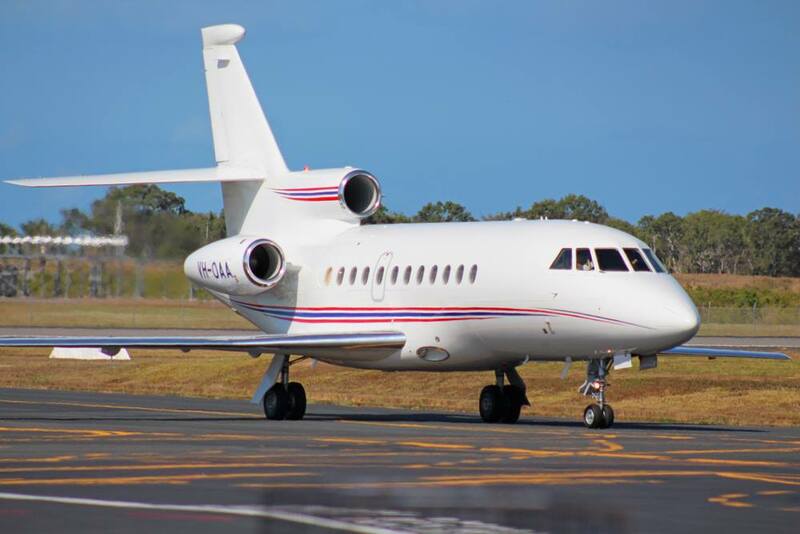 A most welcome visitor into Moranbah Airport on Wednesday 31 January was Shortstop Jet Charter Dassault Falcon 900C bizjet VH-OAA. It touched down from Brisbane after arriving there from its Melbourne (Essendon) base the previous day. At the time of writing, VH-OAA is staying for the night and is planned to depart to Mudgee in New South Wales around lunchtime on Thursday 1 February. On Tuesday 30 January, Royal Australian Air Force (RAAF) Boeing B737-7ES / E-7A Wedgetail Airborne Early Warning & Control (AEW&C) aircraft A30-004 was noted completing a missed approach at Bundaberg Airport. It appears that the Wedgetail flew up from the South and then returned down that way after completing the missed approach. A30-004 was heard using the radio callsign of "Mitchell 04". 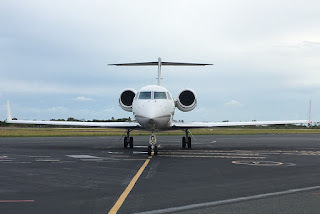 Jet City (Melbourne) Cessna 750 Citation X Bizjet VH-XCJ Arrives into Hamilton Island Airport - Plus More! 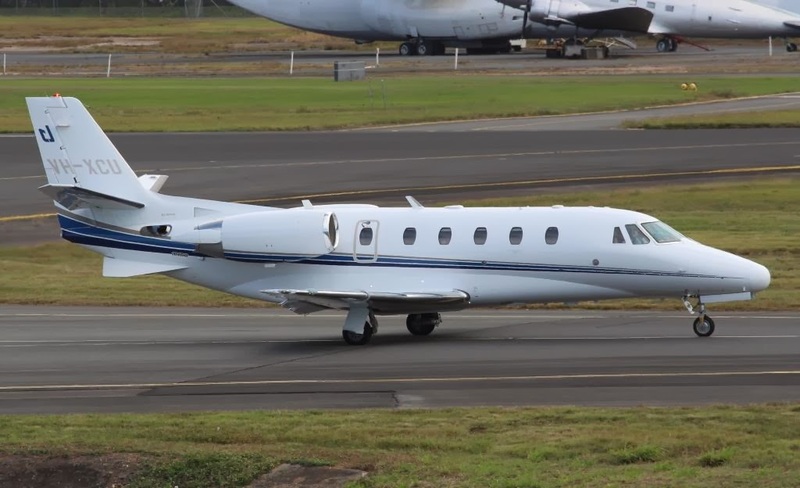 On Monday 29 January, Jet City (Melbourne) Cessna 750 Citation X bizjet VH-XCJ was noted arriving into Hamilton Island Airport from its Melbourne (Essendon) base. The attractive Citation bizjet appears to be staying on Hamo for at least the night. 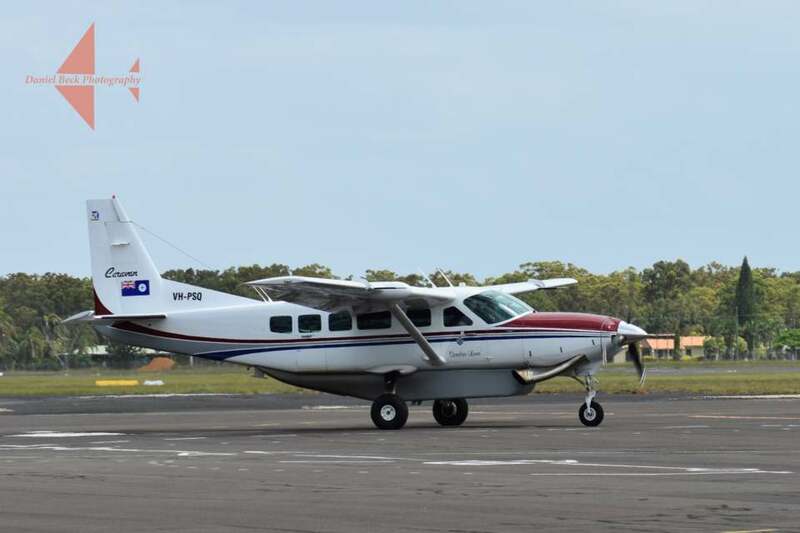 Meanwhile, also on Monday 29 January, Hopair (of Cairns) Cessna 337E Skymaster VH-OIQ was also noted arriving into Hamilton Island Airport but from Toowoomba. It seems to been flying around the Southern states and South Queensland. While on Saturday 27 January, Hawker Beechcraft G58 Baron VH-EZD arrived from its Monto base. Finally, LifeFlight (Aeromed) LearJet 45 bizjet VH-CXJ "Ambulance 452" has had a busy couple of days popping into both Mackay and Proserpine (Whitsunday Coast) Airports. During the afternoon on Sunday 28 January, VH-CXJ arrived into Mackay Airport from Townsville and later departed to Brisbane on what looked to be a medevac flight. While late on Monday 29 January, VH-CXJ was noted completing what looked to be training at Proserpine (Whitsunday Coast) Airport, flying from and back to Townsville. UPDATE! On Wednesday 31 January, all aircraft mentioned above all departed Hamilton Island for differing parts. VH-XCJ departed to Sydney and then Essendon. VH-OIQ departed to the Gold Coast after completing a local flight on Tuesday 30 January. VH-EZD departed back to its Monto base. UPDATE! Also on Wednesday 31 January, Brisbane-based Pilatus PC-12/47E VH-AAD arrived into Hamilton Island Airport from Brunette Downs via Mount Isa and Gunpowder Mine. It is due to depart to Archerfield on Thursday 1 February. 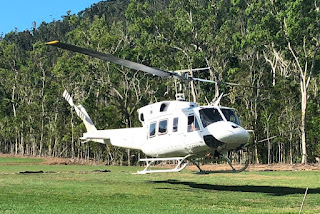 Over the weekend, the unmistakable sight and sound of Monashee Helicopters’ 1974-built Bell 212 C-GSRH filled the skies above CQ with the mighty Canadian registered chopper touching down at both Rockhampton Airport and The Whitsunday Airport at Shute Harbour while looking to be on a ferry flight to the North. On Saturday 27 January, it appears the C-GSRH started the day in Northern New South Wales, possibly at Casino, before flying North to Redcliffe. It then flew into Rockhampton Airport where it took on fuel before departing further north to the Whitsundays. C-GSRH was then spotted touching down at the Whitsunday Airport at Shute Harbour where it looked to be preparing to stay the night. Indeed early on Sunday 28 January, C-GSRH departed the Whitsunday Airport for Townsville and Cairns. It was due to continue further North over the early part of this week, onwards to Papua New Guinea (PNG) where it is expected to ultimately end up. C-GSRH has been a regular visitor to Australia over the years being photographed several times in an attractive red and white livery, along with the titles of fellow Canadian-based Wildcat Helicopters, while also operating as "Wildcat 275" for local bushfire fighting authorities in New South Wales. It appears to have been re-registered to Monashee Helicopters in 2016. 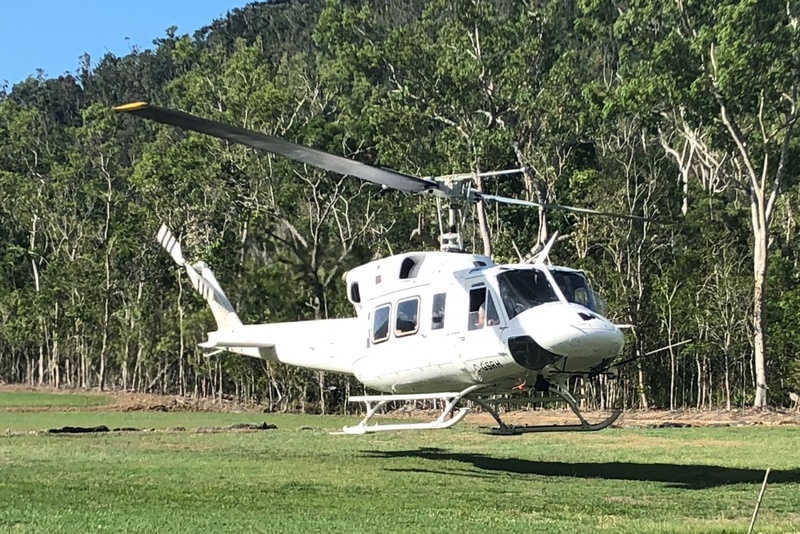 Sincere thanks to Rockhampton plane spotter Kayanne H and Lee H at the Whitsunday Airport at Shute Harbour for taking the time to capture and send through these great photos! 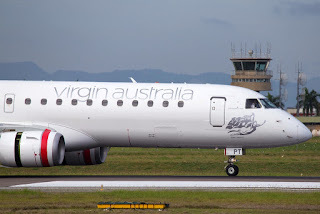 Virgin Australia Embraer E-190 VH-ZPT Departs Australia - And Could Return for JetGo!! 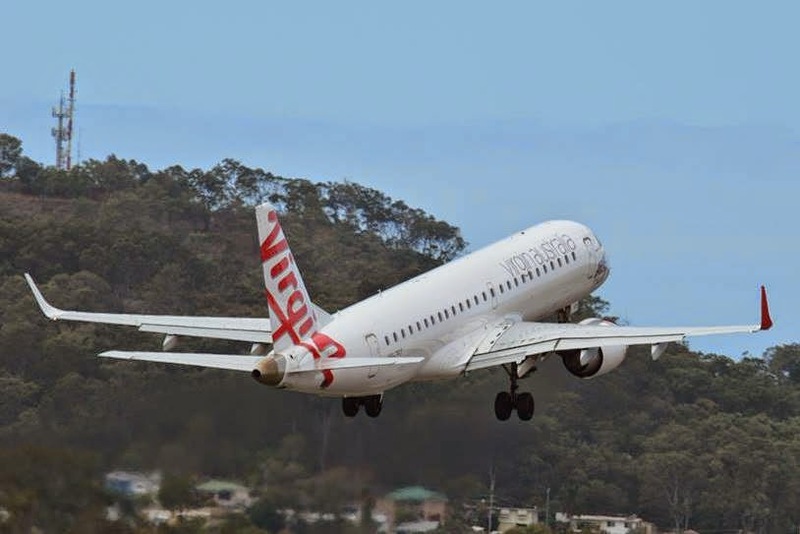 Last Sunday 21 January, Virgin Australia Embraer E-190 VH-ZPT was noted departing Brisbane for Darwin and Clark International Airport at Manilla in the Philippines VOZ9941. VH-ZPT is the second-to-last of Virgin Australia E-190 jets that have been withdrawn from the fleet (for now) and be transferred to other operators or storage. It follows VH-ZPD, VH-ZPF, VH-ZPE, VH-ZPG, VH-ZPJ, VH-ZPL, VH-ZPB, VH-ZPA, VH-ZPM, VH-ZPI ,VH-ZPC, VH-ZPQ, VH-ZPK, VH-ZPR, VH-ZPN and VH-ZPO which have all departed Australia since February 2016. Presently, only one E-190s remains in the Virgin fleet - VH-ZPH - but its days are limited with one report suggesting that its final day of operations will be on Saturday 3 February. VH-ZPT was reportedly ordered new by Virgin Blue, however it entered the Australian register in June 2011 and was registered to the re-branded Virgin Australia. It was delivered to the airline in August 2011 and entered service soon after. VH-ZPT entered service unnamed although was subsequently named 'Little Beach'. Of interest, VH-ZPT was withdrawn from service after its final service on Saturday 30 December. 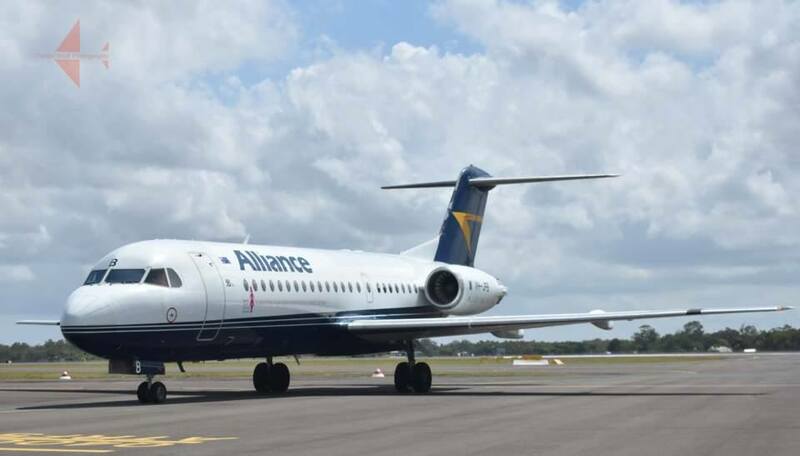 It appears that its final flight into Central Queensland was on Monday 25 December when it operated into Mackay Airport and back from Brisbane as VOZ613/616. The decision to reduce Virgin’s Embraer E190 regional jet fleet, as well as its ATR fleet, was first announced in June 2016. Finally, over the course of this week, JetGo Australia Airlines posted the photo below on the their Facebook page. We have previously shared news from JetGo who announced that they will soon start services between Brisbane and Karratha in Western Australia and onward to Singapore, seeing the airline tap into the International flight market. 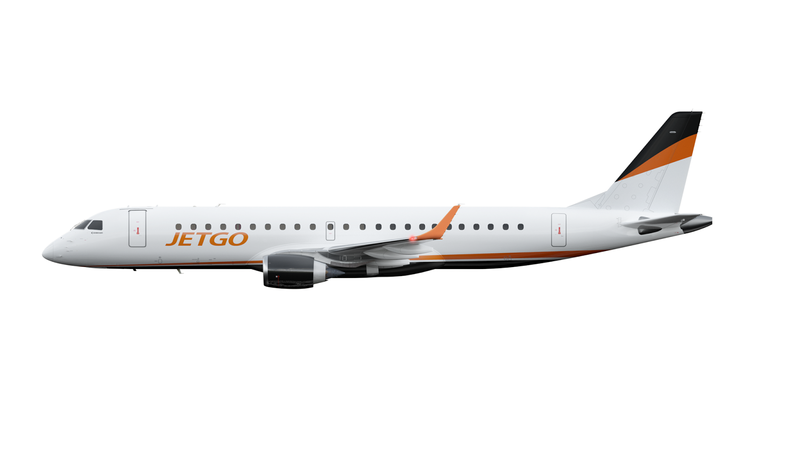 JetGo announced that these flights would start with Embraer E-175 regional jets. Keen-eyed observers noted this 'mock-up' featured the larger Embraer E-190 regional jet prompting speculation that VH-ZPT could have gone to the Philippines in preparation for some future delivery back to Australia for JetGo Australia. Speaking to us, JetGo Australia's CEO Jason Ryder has confirmed that VH-ZPT is indeed being prepared for operations with JetGo with delivery due in May. He also stated that the E-190 would launch the Brisbane to Karratha and Singapore services soon after and that operating the type was more cost effective than the planned E-175. He also suggested that another E-190 was planned for delivery later in the year, while the airline's next Embraer ERJ-145LR regional jet, registered VH-JGK (ex N14923) (cn 145318) would be delivered possibly as early as February. 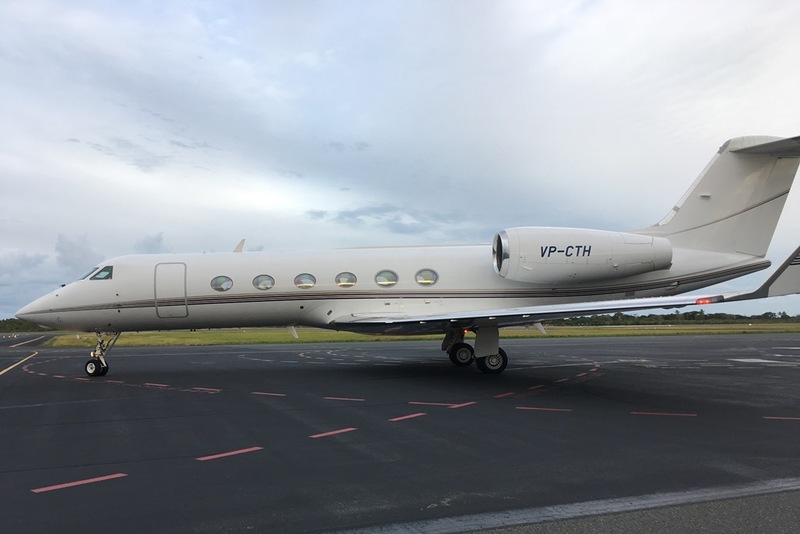 A surprise and certainly most welcome visitor to Hamilton Island Airport on Friday 26 January was Chinese registered Hanergy Jet Gulfstream Aerospace G-V-SP (Gulfstream G550) bizjet B-8256. It touched down from Cairns after earlier arriving from Beijing (China). At the time of writing, B-8256 remains parked on Hamo. UPDATE! 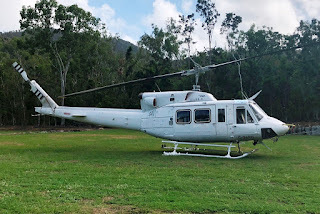 On Saturday 27 January, B-8256 departed Hamilton Island Airport and returned to Cairns. Meanwhile, over the last week, a couple of familiar aircraft have yet again been noted calling into Hamilton Island Airport. On Monday 22 January, Pegasus Air / Agile Aviation (of South Australia) Pilatus PC-12/47E VH-TCP arrived directly from its Adelaide base. It returned to the South Australian capital via Charleville on Thursday 25 January. 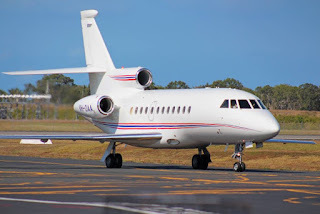 While Balmoral Air Dassault Falcon 2000LX bizjet VH-WIO visited Hamilton Island Airport once again, this time on Tuesday 23 January. As usual, it arrived from and later departed back to its Bankstown base. Mackellar Mining Equipment Cessna 560 Citation Ultra VH-MMC Back at Emerald Airport - Plus a Couple of Lighties! 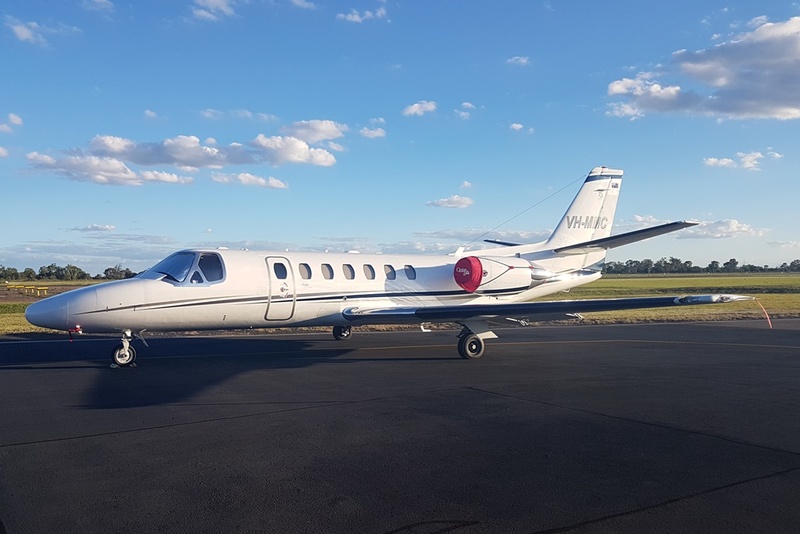 On Wednesday 24 January, Mackellar Mining Equipment / Flight Options (Australia) Cessna 560 Citation Ultra VH-MMC was noted back in CQ, touching down at Emerald Airport from its Sunshine Coast base. It's around a fortnight since its last visit - and like most other visits, VH-MMC looks to be staying at Emerald Airport for at least the night. UPDATE! Late on Thursday 25 January, VH-MMC departed Emerald Airport and returned to the Sunshine Coast. Meanwhile, also on Wednesday 24 January, a couple of familiar light General Aviation (GA) aircraft were also noted popping into Emerald and Barcaldine Airports. Wolff Aviation Hawker Beechcraft C90GTi VH-VWG made an early morning arrival into Emerald Airport from its Toowoomba base. It was later noted departing Bundaberg Airport on return to Toowoomba. While Vanderfield Pilatus PC-12/47 VH-WPH called into Barcaldine Airport from Mackay Airport before later heading to Bundaberg Airport. It then flew onward to its Toowoomba base. VH-WPH had arrived into Mackay Airport from Toowoomba via Biloela / Thangool Airport on Tuesday 23 January. 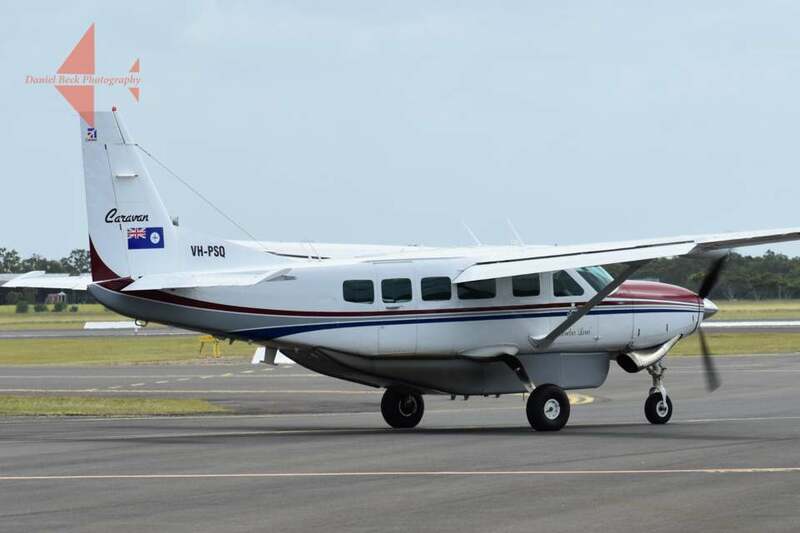 Finally, also at Bundaberg Airport, another Toowoomba-based lighties in the form of Bontrail (Strahman Farms) Cessna 208 Caravan VH-SJJ was also noted visiting the rum city also on Wednesday 24 January. On Tuesday 23 January, Queensland Premier Annastacia Palaszczuk and support staff arrived into Longreach Airport bringing both of the Queensland Government Airwing (State of Queensland) aircraft - Raytheon Hawker 850XP bizjet VH-SGY and Raytheon B300 Super King Air VH-SGQ. Both aircraft were earlier noted departing Brisbane for Roma Airport before heading onward to Miles Airport around lunch time. They then departed for Longreach Airport late in the afternoon and touched down around sunset. At the time of writing, both aircraft were scheduled to depart back to Brisbane in the early afternoon on Wednesday 24 January. 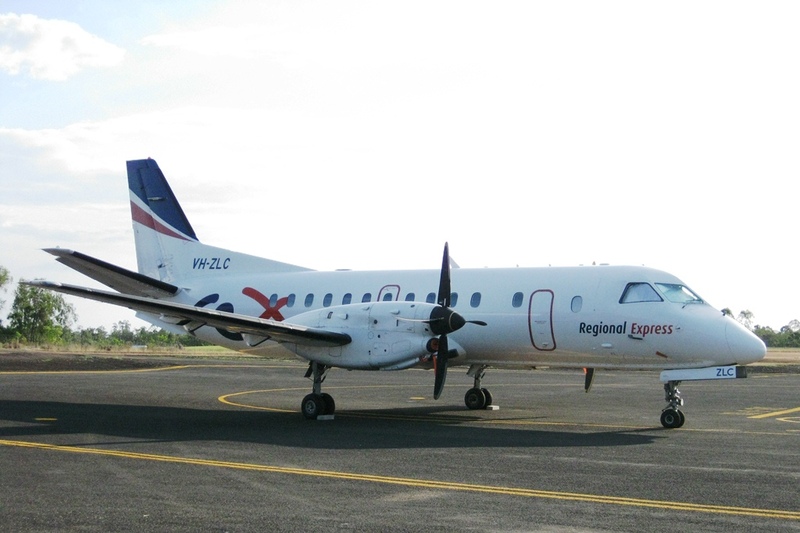 The semi-regular closed charter flights we saw call into Rockhampton Airport from and back to the Cairns area during 2017 resumed this year on Tuesday 23 January with Regional Express (REX) SAAB 340B VH-ZLC noted arriving into Rockhampton Airport from Horn Island via Cairns as RXA9511. After around an hour on the ground, VH-ZLC departed Rocky and returned to Cairns but as RXA9912. Meanwhile, it was worth noting that another 'semi-regular' visitor to Rockhampton Airport that also visits around the same time as the REX SAABs was again noted at Rocky but on Monday 22 January. Townsville Airlines (Flightech Air Logistics) Cessna 402C VH-JOH was noted completing an afternoon flight from Cairns to Rockhampton Airport and back. RAAF Challenger 604 Bizjet A37-002 Noted Arriving into Moranbah Airport - Plus FIFO Charter Flights Galore! On Tuesday 23 January, Royal Australian Air Force (RAAF) Canadair CL-600-2B16 Challenger 604 bizjet A37-002 was noted arriving into Moranbah Airport from the Sunshine Coast. It had earlier arrived into the Sunny Coast from Canberra. At the time of writing, it is unclear whether the RAAF Challenger remains parked at Moranbah Airport or has departed. A37-002 was noted using the radio callsign of "Wisdom 44". Meanwhile, as we've posted on our Facebook page, Tuesday seems to be a particularly busy day for Fly-in Fly-out (FIFO) charter flights in and out of Moranbah Airport with at least eight flights noted visiting from Brisbane and one from Cairns during the afternoon and evening on Tuesday 23 January. Fly Corporate Air / Vee H Aviation SAAB 340Bs VH-VEM, VH-VEO and VH-VEP all looked to complete return flights to Moranbah Airport from and back to Brisbane. 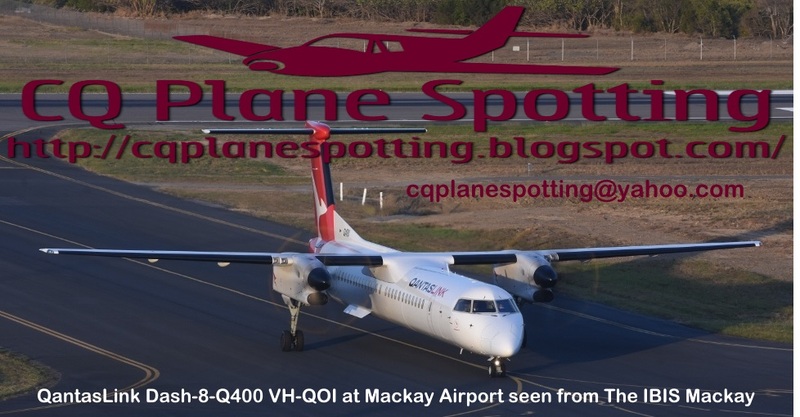 While QantasLink Dash-8-Q400s VH-QOD, VH-QOE, VH-LQF, VH-QOV and VH-QOP completed return flights to Moranbah Airport from and back to Brisbane and Cairns respectively. On Tuesday 23 January, LifeFlight (Aeromed) LearJet 45 bizjet VH-CXJ had a busy day popping into some CQ Airports while on a training flight and then later, a medevac flight. VH-CXJ initially departed Brisbane and was heard to complete airwork around Bundaberg Airport including at least two missed approaches. After continuing to Towsnville, VH-CXJ later returned South and was noted arriving into Mackay Airport but as "Ambulance 452". It later departed to Brisbane on what looked to be a medical evacuation (medevac) flight. Another nice corporate bizjet has been spotted at Mackay Airport. 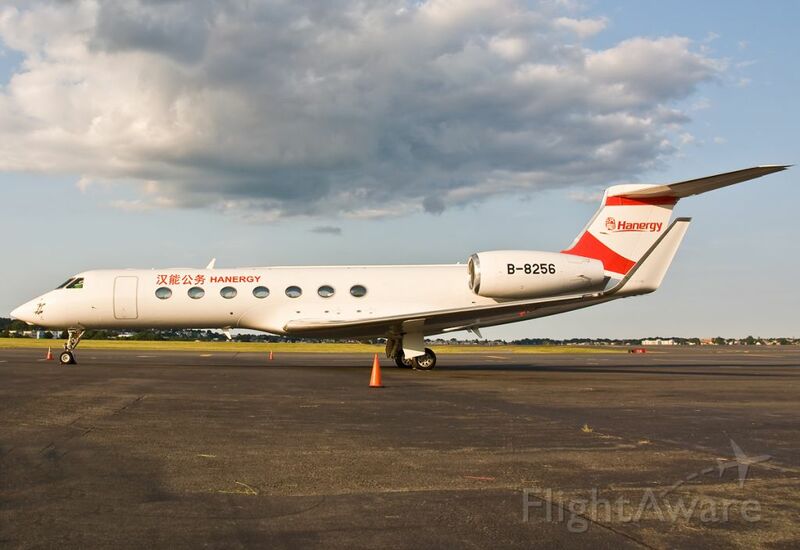 On Monday 22 January, Cayman Islands registered Jet Aviation Business Jets (of Switzerland) Gulfstream Aerospace G-IV-X (G-450) VP-CTH was photographed as it departed the sugar city for Brisbane. VP-CTH had arrived into Mackay Airport from Melbourne (Tullamarine) via the Queensland capital much earlier in the day. 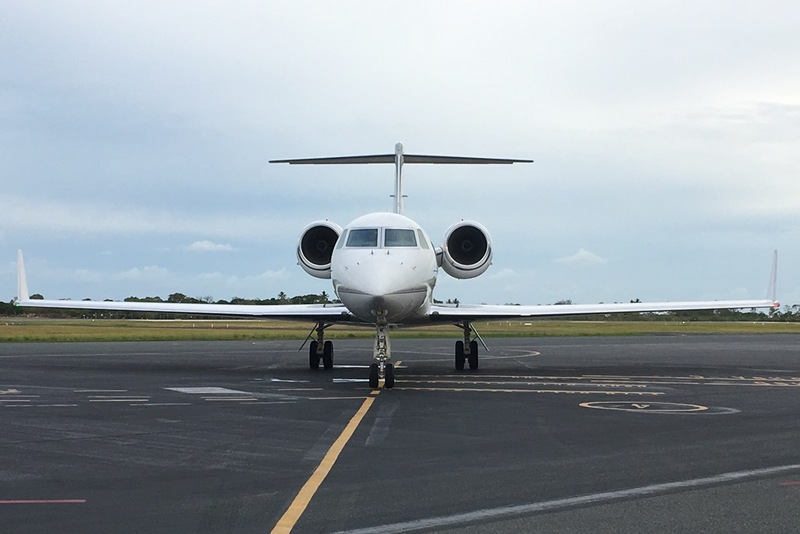 Meanwhile, also on Monday 22 January, locally-based Embraer EMB-550 Legacy 500 N142GZ was noted returning 'home' to Mackay Airport from Brisbane after flying down there on Saturday 20 January. Finally, a corporate turboprop in the form of Edwards Coaches Cessna 441 Conquest II VH-OXY also called into Mackay Airport also on Monday 22 January. It was noted arriving from its Armidale base via Maitland and later departed back direct to Armidale. 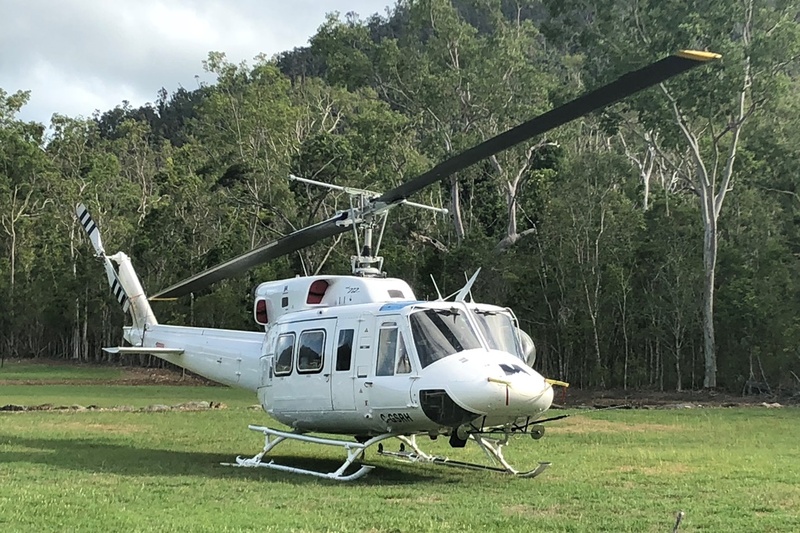 On Saturday 20 January, Queensland Government (QGAir) Rescue Bell 412EP helicopter VH-ESB was noted flying South from its Townsville base to Archerfield via Mackay and Gladstone Airports. 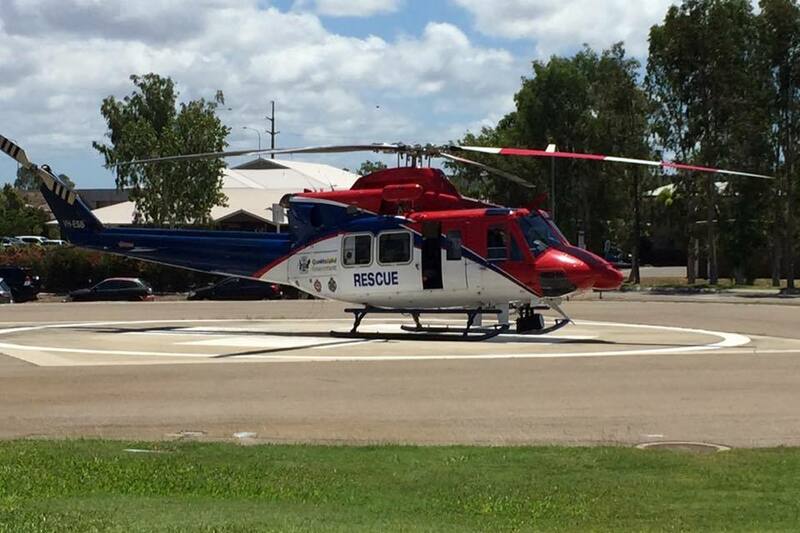 Sistership and fellow Bell 412 VH-ESD continues operate as "Rescue 521" on med-evac duties out of Townsville Airport. 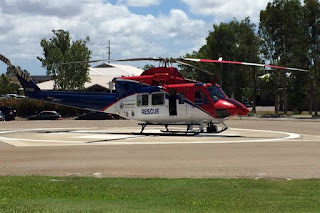 Over the last couple of months, both VH-ESB and VH-ESD flying as "Rescue 521" have been noted operating medical retrieval flights South from their Townsville base to places like Bowen and Proserpine Hospitals and even to Mackay Base Hospital and Mackay Airport. A nice surprise visitor to Central Queensland during the afternoon on Friday 19 January with the latest to be delivered Royal Australian Air Force (RAAF) Airbus A330-200 / KC-30A Multi Role Tanker Transport (MRTT) A39-006 spotted completing a missed approach at Rockhampton Airport. It was flying as "Dragon 10". A39-006 had earlier flown North from RAAF Base Amberley with a flight of four RAAF F/A-18 Hornets "Ausy 991" and fellow RAAF KC-30A MRTT A39-002 "Ausy 442" and provided air-to-air refuelling support until they departed the Australian Flight Information Area (FIA) Boundary to the North of Australia. A39-006 then returned South and returned to Amberley via the missed approach at Rockhampton Airport. A39-006 was delivered to the RAAF's 33 Squadron at Amberley in September 2017 and wore the Spanish delivery registration marking of 'EC-339'. This A330-200MRTT is an older airframe (MSN 892) and was originally manufactured in 2007 and delivered to Qantas Airways in early 2008 as VH-EBH. It previously wore the name 'Hunter Valley'. VH-EBH operated with Qantas on domestic and international flights until May 2015 when it was withdrawn from service and flown to Singapore (Changi) Airport for end of lease maintenance and storage. VH-EBH/EC-339 was then flown to Getafe in Spain for conversion to A330-MRTT/KC-30A standard by Airbus Defence and Space. A39-006 will soon be joined by a seventh KC-30A to be A39-007/EC-334 which is also currently believed to be in Spain. 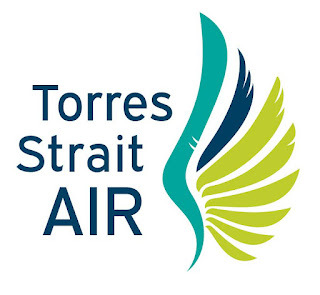 This airframe (MSN 898) also previously operated with Qantas Airways but as VH-EBI and wore the name 'Yarra Valley'. Rumours persist that the future A39-007 will be utilised as a VIP transport jet. Sincere thanks to local plane spotter Kayanne H who was the right place at the right time to capture some photos of this first visit by this KC-30! 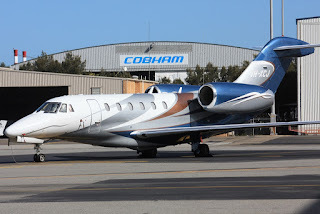 A Couple of Cessna Citation Bizjets - VH-PWX & VH-SPJ Pop into Longreach Airport - Plus More! 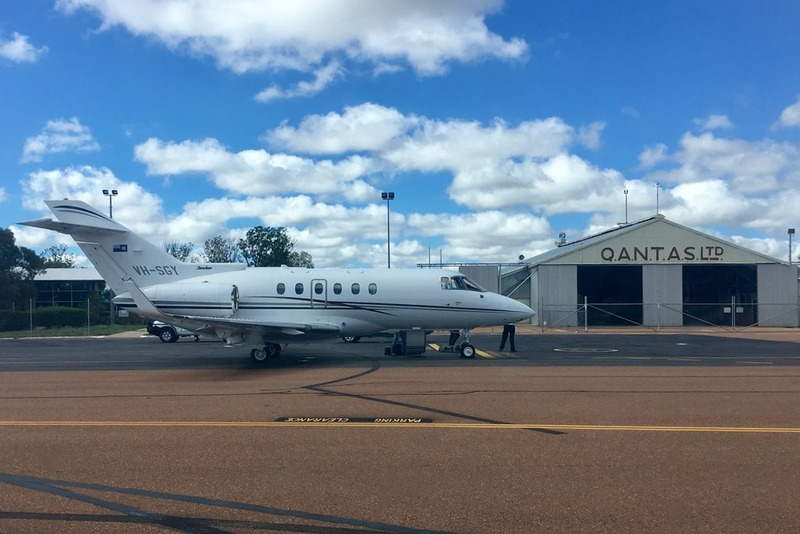 On Friday 19 January, an interesting pair of Cessna Citation bizjets were noted popping into Longreach Airport. 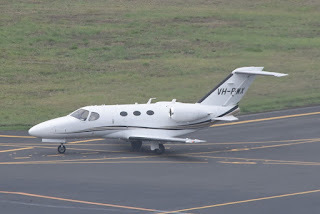 First, Special Mining Services / Flight Options (Australia) Cessna 510 Citation Mustang bizjet VH-PWX was noted arriving from the South. It later departed to to Normanton before finishing the day in Townsville. Also, Aeromil Pacific / Flight Options (Australia) Cessna 650 Citation III bizjet VH-SPJ was noted arriving into Longreach Airport from Cobar. It departed a little while later for Mount Isa. UPDATE! On Monday 22 January, VH-PWX was again noted at Longreach Airport, arriving from Normanton and later departing to Warwick. Meanwhile, also on Friday 19 January, Blue Demon Aviation (of Victoria) Beech A36 Bonanza VH-PMP was noted arriving into Emerald Airport called into Emerald from Bairnsdale and Narromine. It later departed to Townsville. UPDATE! On Monday 22 January, VH-PMP arrived into Rockhampton Airport from Townsville and later departed to Archerfield. On Thursday 18 January, Homada Pty Ltd Cessna 560XL Citation XLS bizjet VH-XCU was noted arriving into Hamilton Island Airport from Melbourne (Moorabbin) via Melbourne (Essendon). As with its previous visits, VH-XCU remains parked Hamo. UPDATE! 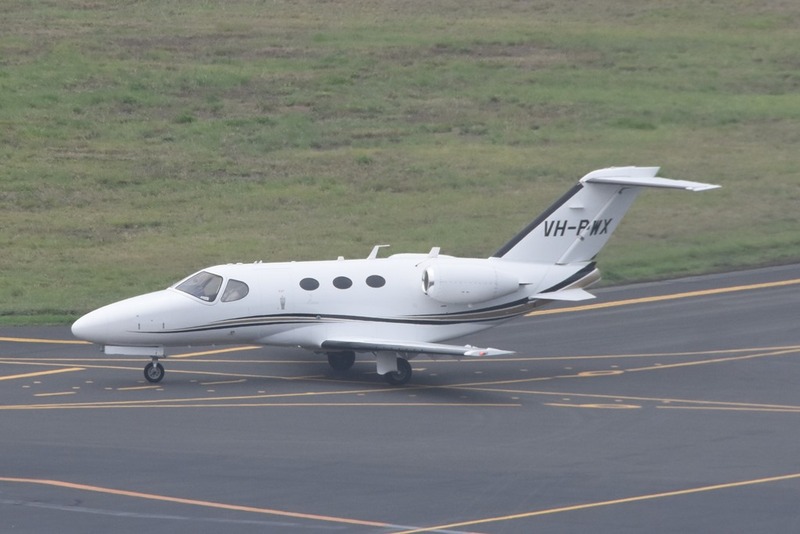 On Sunday 21 January, VH-XCU was noted departing Hamo for Essendon and then Moorabbin. 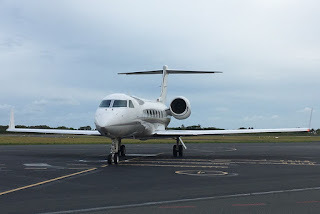 Meanwhile, down the road at Mackay Airport, locally-based Embraer EMB-550 Legacy 500 N142GZ was noted completing flight to the Sunshine Coast and back to Mackay also on Thursday 18 January. 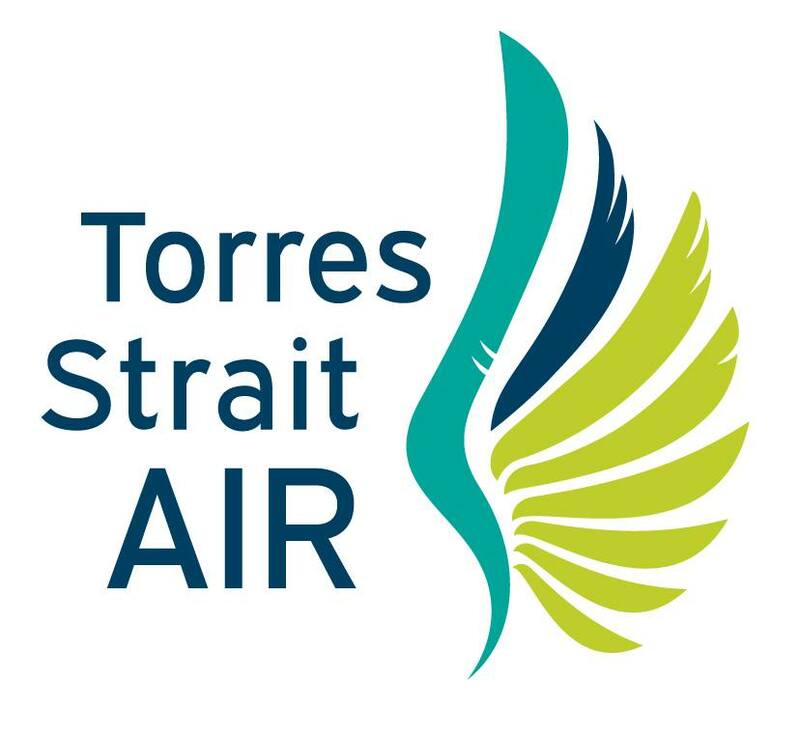 On Thursday 18 January, Torres Strait Air Pilatus Britten-Norman BN2A-21 Islander VH-URJ was noted flying North from Archerfield to Cairns via Emerald Airport. It looks to have recently completed planned maintenance at Archerfield. 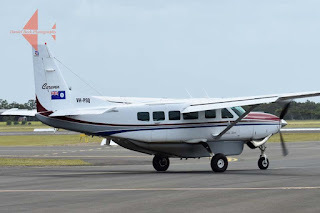 Of interest, another Islander in the form of McGilvray Aviation (Cape Air Transport) Pilatus Britten-Norman BN2A-21 VH-WQA was noted heading South also to Archerfield in December last year. It appears that it remains at Archerfield. VH-WQA called into Rockhampton Airport while ferrying from Townsville. 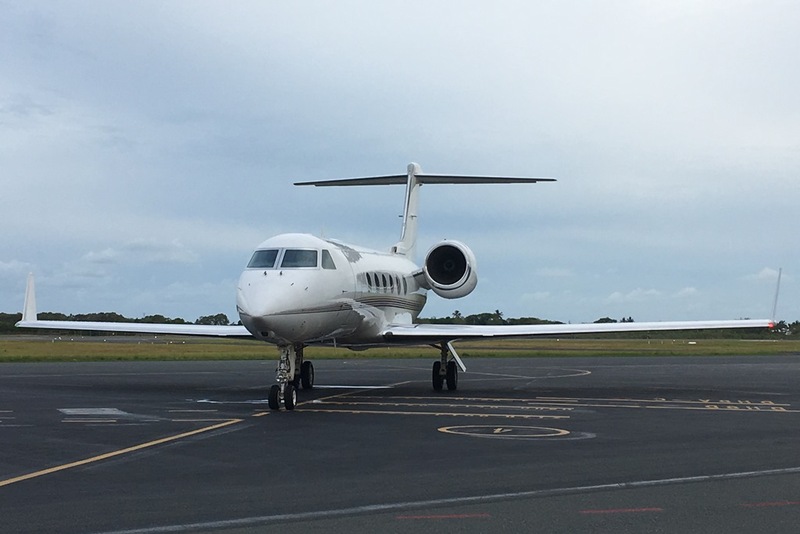 On Thursday 18 January, both of the Queensland Government Airwing (State of Queensland) aircraft - Raytheon Hawker 850XP bizjet VH-SGY and Raytheon B300 Super King Air VH-SGQ - were noted calling into a couple of CQ Airports. After departing its Brisbane base, VH-SGY called into Bundaberg Airport for a quick stop before it continued further North to Gladstone Airport where it looked to complete a practice ILS approach before again landing shortly before midday. Flight tracking websites suggested this stop by VH-SGY was Gladstone Airport was also supposed to be a quick stop with it due to return to Brisbane via Bundy and also Hervey Bay (Fraser Coast) Airport. However, VH-SGY didn't depart and it was interesting to note that VH-SGQ also flew up to Gladstone Airport from Brisbane during the middle part of the afternoon and it too was due for a quick stop at the port city. Both VH-SGY and VH-SGQ remained on the ground at Gladstone Airport until late afternoon / early evening when they both returned directly to Brisbane in quick succession. It is speculated that VH-SGY may have had maintenance issues when on the ground at Gladstone Airport. 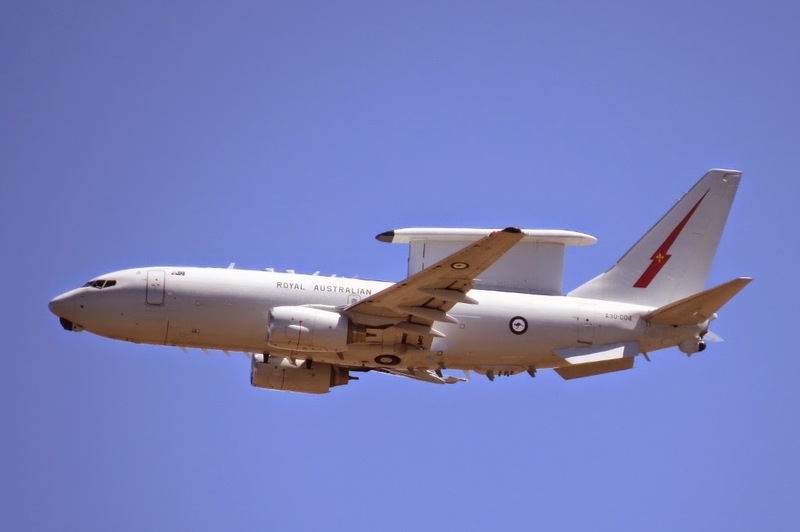 On Thursday 18 January, Royal Australian Air Force (RAAF) Boeing B737-7ES / E-7A Wedgetail Airborne Early Warning & Control (AEW&C) aircraft A30-003 was noted completing a missed approach at Hervey Bay (Fraser Coast) Airport. It appears that A30-003 flew up from the South. After completing its airwork, the Wedgetail flew to the Gold Coast. A30-003 was noted to be using the radio callsign of "Wedgetail 15". Meanwhile, on Wednesday 17 January, an unidentified RAAF Beech B350 Super King Air flying as "Dingo 04" was noted completing airwork at both Longreach and Birdsville Airports while on a flight out of and back to Townsville. 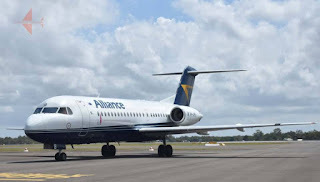 After spending some time operating out of Adelaide, Alliance Airlines Fokker F-70 jet VH-QQV has recently returned to the airline's Brisbane base and has once again been operating flights to various Central Queensland Airports over the last week. 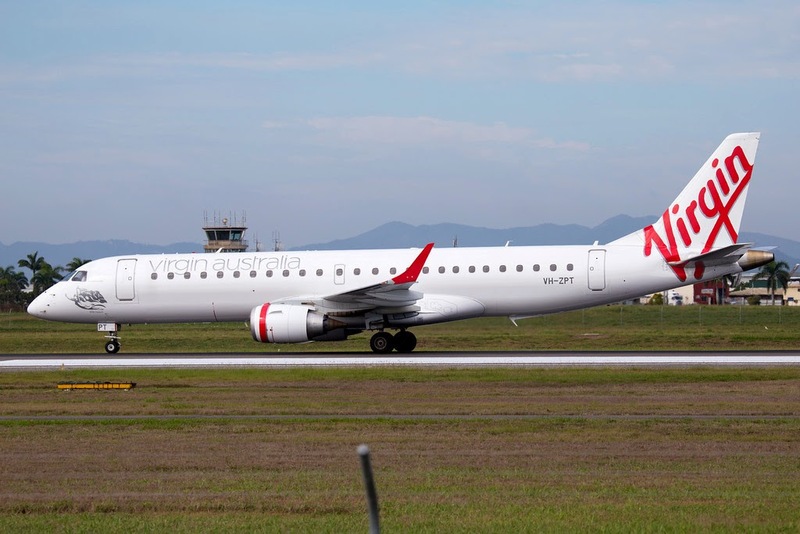 And on Wednesday 17 January, Dan B of the Wide Bay / Bundaberg Plane Spotting Group on Facebook was on hand at Bundaberg Airport as operated the VOZ2973/2972 service from and back to Brisbane on behalf of Virgin Australia Airlines. Meanwhile, it appears that fellow Alliance Airlines Fokker F-70 jet VH-JFB has taken the place of VH-QQV in Adelaide with it noted operating several flights between the South Australian capital and Moomba. 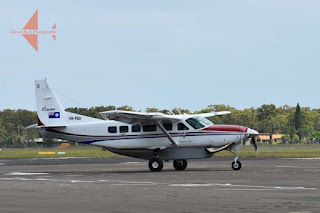 Finally, back at Bundaberg Airport, and also on Wednesday 17 January, a pair of Queensland Police Service (Airwing) (State of Queensland) aircraft were spotted visiting from various parts. Raytheon B1900D VH-PSK called into Bundy twice during a busy day of flying which started and finished at Cairns, while Cessna 208 Caravan VH-PSQ looked to visit from Brisbane. Sincere thanks to Dan B from the Wide Bay / Bundaberg Plane Spotting Group on Facebook for allowing us to share these great photos!